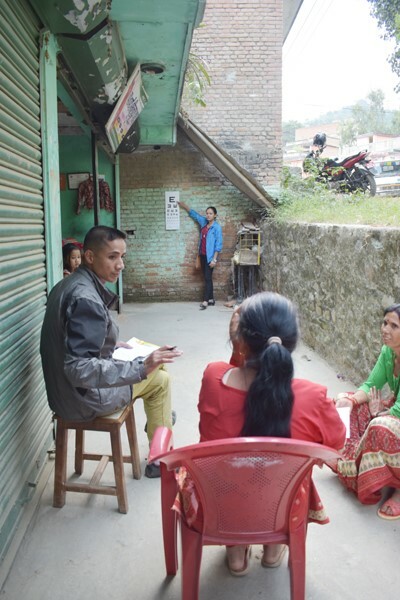 In rural communities, many health care services are usually out of reach of the denizens of community whether due to distance, awareness, acceptance or cost. 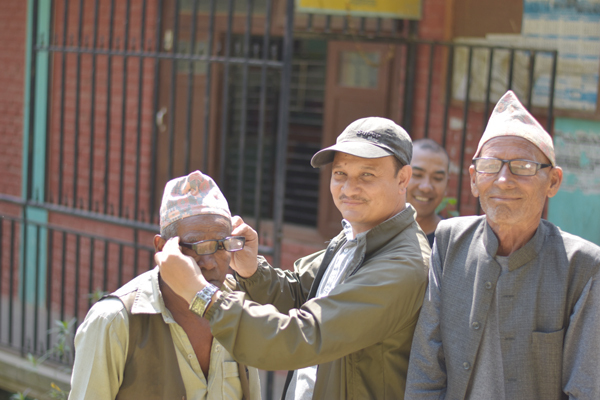 To provide aid to people of Panchkhal, Non-Surgical Eye Camp was conducted on Asoj 22, 2075 B.S. 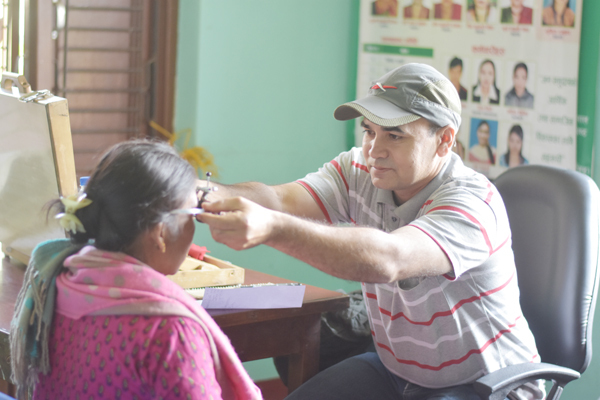 between 10:00 am to 5:00 pm under the direction of Nepalese Army Institute of Health Sciences, Bhandarkhal and Shree Birendra Hospital, Chhauni in Tin Peeple, Ward -6, Panchkhal Municipality where residents of Panchkhal Municipality were provided with free eye screening and free treatment. 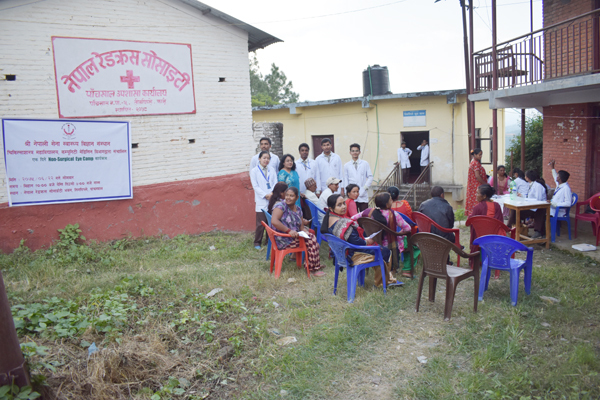 a) Nepal Red Cross Society: Patients were first received here for Registration. b) Yuwa Club, Tin Peeple: Registered patient underwent BP and Weight measurement and was used as Waiting room before vision and ocular examinations b) Rural Woman Multipurpose Development Cooperative Ltd.: Patients underwent Vision Screening and Ocular examination after which they received medication and glasses from Dispensary organized in the building. Camp was attended and successfully conducted by Rtd. 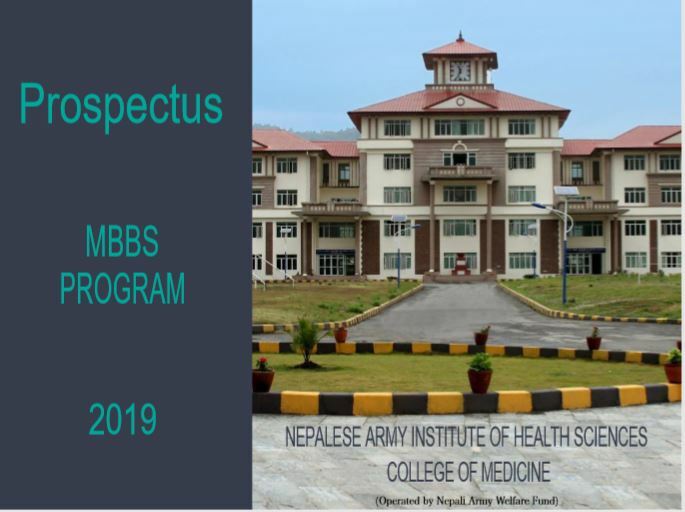 Maj. Gen. Prof Dr. Suraj Shamsher JBH, Ophthalmology Department, SBH, Prof. Dr. Lochana Shrestha, Head of Department of Community Medicine, NAIHS-COM, Associate Prof. Dr. Sanjeev Dav Rajbhandari, Department of Community Medicine, NAIHS-COM, Sabin Zoowa, Lecturer, Department of Community Medicine, NAIHS-COM, Niraj Bhattarai, Field Coordinator, Department of Community Medicine, NAIHS-COM, Dr. Prasansa Sakya, MD Resident, Opthalmology Department, SBH, Dr. Pawan Bastola, Demonstrator, Department of Community Medicine, NAIHS-COM, Sagar Khadka, MBBS Intern, NAIHS-COM, Maj. Binod Bhadari, Logistic Officer, NAIHS-COM, Pra.Hu. 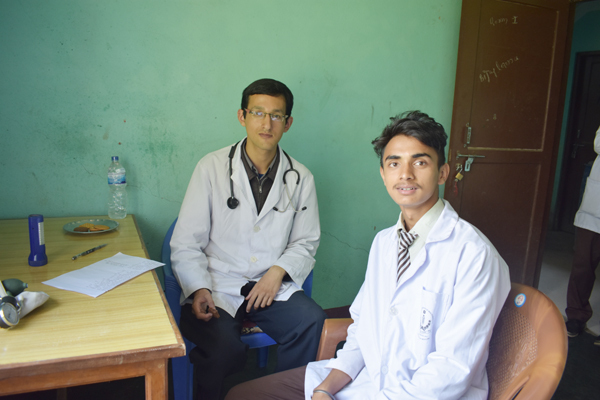 Yagya Bahadur Nepali, NAIHS-COM, T/J.M. 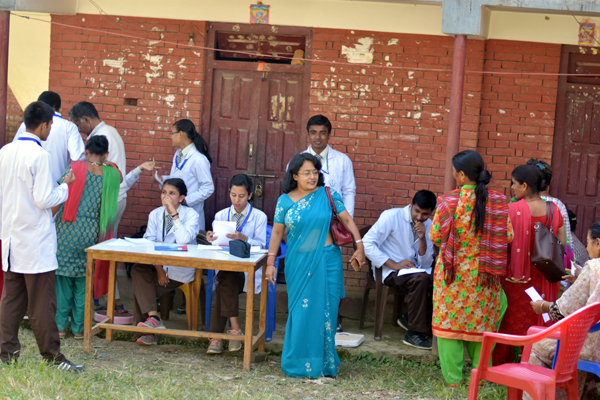 Narayan Rawal, Ophthalmology Department, SBH, T/NK Ram Babu Basnet, Ophthalmology Department, SBH, Sipahi Anita pal, Ophthalmology Department, SBH and 24 MBBS Students of 7th Batch 1st year, NAIHS-COM. 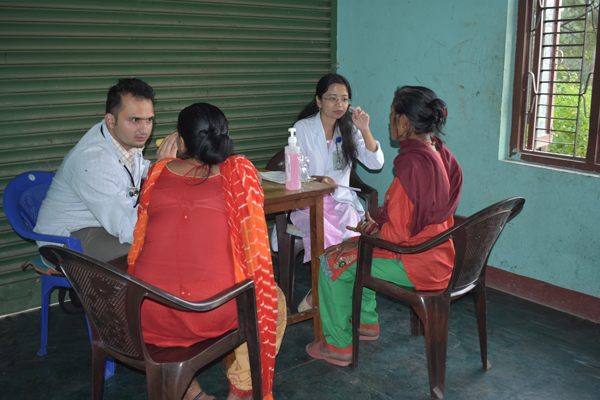 Eye camp was successfully conducted with 174 patients screened and treated. 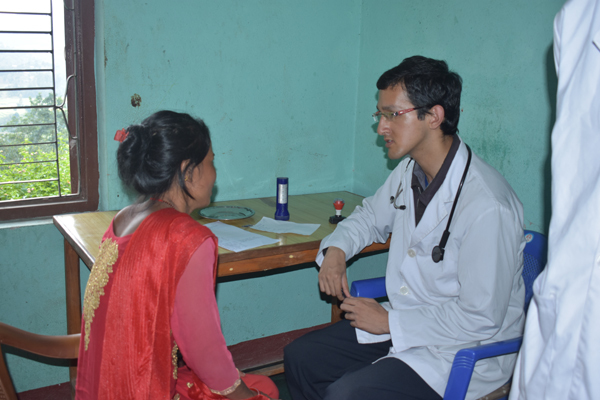 Age range of patients who visited the camp was between 2 yrs to 96 yrs with average age of patients being 52.18 � 16,77 yrs and geriatric group (>60 yrs) representing 34.9% of patients. Most common problems among those who were treated were Presbiopia (33.1%), Dry eyes (18.3%) and Eye Allergy (12%). 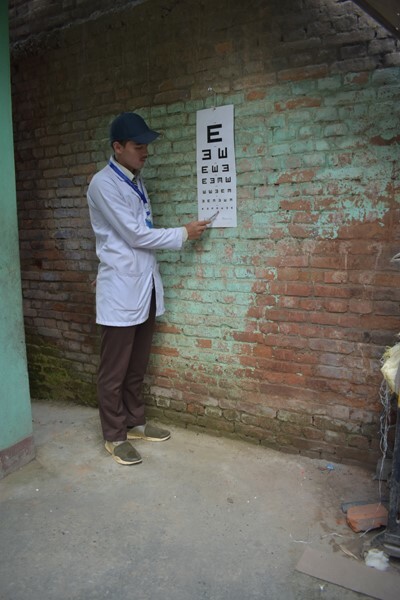 Other problems encountered include Age-related cataract (10.7%), Headache (6.7%), Gastritis (6.7% Conjunctivitis (4%), Pinguecula (3.3%) and Pterygium (3.3%). 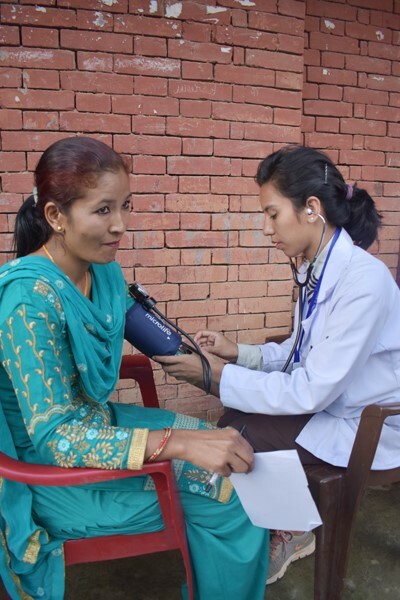 Bp was screened at the camp where 7 patients with Hypertensive urgency (BP above 180/110 mm of Hg without symptoms) were refered to Dhulikhel Hospital. 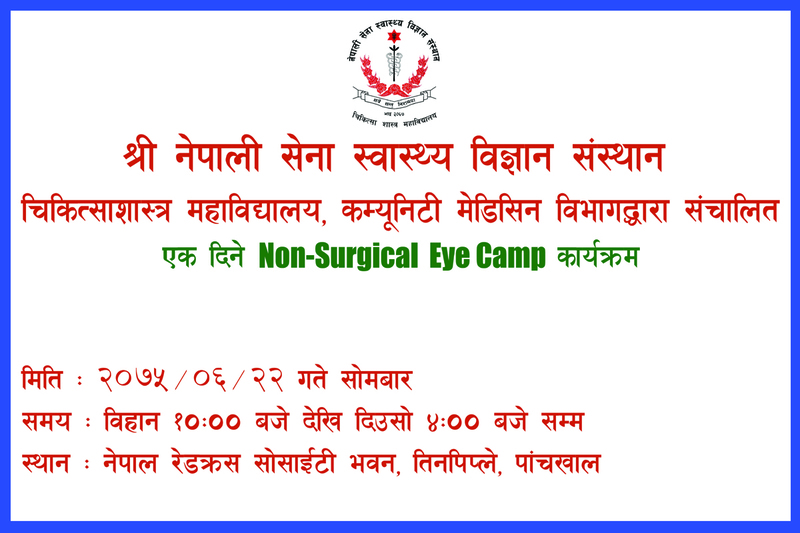 The Non-Surgical Eye Camp was successful in its objective and Ward officials, Health care workers and local residents.